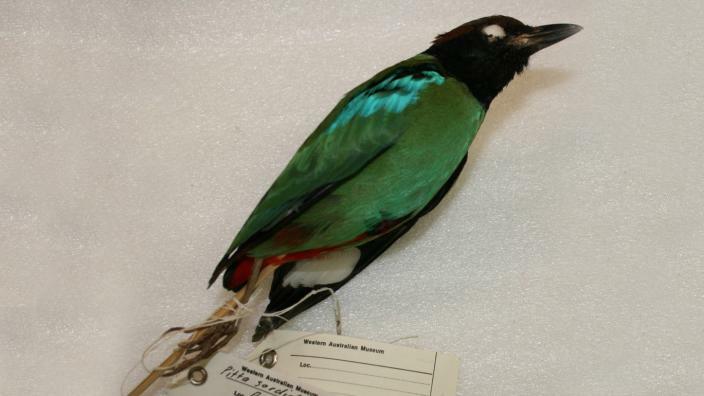 This is the first record of a Hooded Pitta Pitta sordida in Australia. It was found dead on Barrow Island in January 2010 and sent to the Museum for identification. It belongs to the subspecies cucullata that breeds in the Himalayan foothills, north-east India ,Bangladesh, Myanmar and Thailand and migrates south to Malaysia, Sumatra and Java during the northern winter.